THE PLANTINGA INTERVIEW - BRILLIANT! Father Hunwicke has - yet again - an excellent post on his blog on the culture of death with which even Christians unwittingly collaborate in our day. I have reproduced it below. 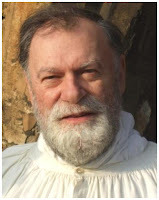 Go HERE to Fr Hunwicke's blog . . . some of the comments attached to this post on the original blog are very moving, too. Not long ago, at Sunday Vespers in the Oratory, the pews in front of me were filled with swarms of little girls and a boy or two; that is, a young couple with six small children. I felt quite outdone; Pam and I only managed five ... and we aren't often outdone. I hope the young woman has a sympathetic Catholic GP. When we were proli-fic in the '60s and '70s, the medical profession already got very heavy-handed with women who entered upon four or more pregnancies - even if the women concerned were highly intelligent graduates who might be presumed to be capable of thought and of rational decision. I just hate to think how dirigiste this overweening (do I mean bloodthirsty?) profession must by now have become. Among the things one notices if one holidays annually in Ireland is the sight of people with Down's Syndrome. It is no more remarkable to see them in the streets than to see, say, a West Indian or someone in a wheel-chair, in Britain. When you get back to Blighty, the streets seem suddenly strange because there aren't any. Then it dawns on you why there aren't any. Rather as, just after the cattle trucks had rumbled off to the East, it must have been strange ... and then disconcerting and very frightening ... to wander round a German town and see no Jewish faces. Ugly, isn't it, that the role performed in Nazi Germany by Gestapo or SS is performed in Britain by members of Caring Professions whom we each of us have to visit, especially as we get older, for our aches and infirmities. If anything, ours is a spookier ... well, let's be frank ... an even more evil society ... than Hitler's; one in which the Evil has dug its roots even deeper than it had in his Germany, because it is internalised among more people and more groups and more classes and more structures; and has been so manipulated that, far from being concealed, it is publicly appauded by our Media; and because the killing is, by a Diabolical masterstroke, disguised as Caring and performed by men and women whom we take for granted to be gentle. And yet, throughout my ministry, I've felt that I ought to discipline myself not to mention abortion too often in sermons lest people decide I am fixated on only one thing; or lest I traumatise women who've had abortions. How evil does infect us all. Spare a prayer for brave young women who embark upon a willed pregnancy and have to face some medical bully. Spare more prayers for those put under enormous pressure to have 'tests' to see whether their 'foetus' is 'abnormal'. Find some more prayers for those who are assured, by kind and sympathetic people who only want to help them, that it would be wholly irresponsible to encumber the world with a Down's Syndrome human being. And don't forget, in your prayers, those other victims; the women who have already been deceived and seduced into complicity in the killing of their own children. I guess it's human nature to want everything to be "just perfect" - in spite of the fact that every man, woman and child experiences life as a combination of joy and pain. There are no exceptions. Not one! In fact, I want you to notice that the Bible goes out of its way to emphasise this mingling of joy and pain when talking about the ﬁrst Christmas. Think of the arduous journey to Bethlehem, the circumstances of the birth among animals in the cave. Think of the Holy Family trudging to Egypt as refugees, and staying there for two years, until it was safe to go home. Think of the blood that ran in the streets of Bethlehem, and the wailing of inconsolable parents when all the baby boys under the age of two were slaughtered by soldiers in a vain attempt at killing Jesus. Think of the thirty years at Nazareth - God in earthy human ﬂesh. God himself eating, speaking, sleeping and sweating, his hands bearing the calluses of weariness and work. Think of the joy, but think also of the pain - the journey to the cross that overshadowed the life of this holy Child. Because it was the REAL world into which he came, the REAL world he wanted to save, it could not be otherwise. It should seem obvious as we read the Bible that God the Father didn't smooth out the pathway ahead of Jesus, nor that of those who were closest to him. He suffered greatly; and they shared in his suffering, his poverty, his labour and his pain. This was crucial to God's way of saving the world. These things are, as we might say "the birth-pangs of the new age". Today's Gospel gives us a glimpse of the special pain embraced by Mary and Joseph when Jesus desired - even at twelve years of age - to be about his "Father's business." Thank God that Christmas is a time of joy, sharing, singing and praise; a time of exchanging gifts and greetings; a time even of rekindled faith, as treasured childhood memories and religious sentiments are revived by the trappings of the holy season. Let's celebrate as sumptuously as we can. God would want that. So long as we don't forget that Christmas is also for those who ﬁnd their faith journey a bit of a stumble: those living in poverty; those who suffer pain at this time of the year because they have outlived their friends; or their families have crumbled; or they are separated by great distance from loved ones; or they struggle with psychological illnesses; or they just - in all honesty - ﬁnd it so hard to believe. You are here today because coming to Mass is the best way of entering into the joy of this season. You know that every Mass is ANOTHER CALVARY, where the "one perfect sufﬁcient sacriﬁce, oblation and satisfaction for the sins of the whole world" is offered to the Father; but you also know that every Mass is ANOTHER BETHLEHEM where Jesus comes among us in as real a way as when he lay in the manger. There it is again: joy and pain mingling for our salvation. So, my brothers and sisters, it remains for me to remind you that whatever circumstances you face at this particular moment, you can trust the Lord. In leaping from the throne of glory via the Virgin's ﬁat into this world which - for all of its beauty and wonder - we had turned into the gutter of the universe, he has already shown how much he loves you. He is "the same, yesterday, today and forever," and if you reach out to him today, you will know his love, his strength, and his healing power supporting and sustaining you ... in your joy as well as in your pain. IN ALL HUMILITY . . .
John the Baptist was chosen by God and became one of his greatest prophets. As a baby he was helpless and needy. As a prophet, he displayed the same humility. Like all the saints, he above all else knew his need for God. Real prophets are humble. They understand that without God's grace they are nothing. (False prophets are just the opposite!) When asked who he was, John said: "I am the voice of one crying in the wilderness: Make straight the way of the Lord" (Jn 1:23). If we are successfully to beckon our contemporaries to Jesus, we will need the same humility of heart, seeing ourselves as John saw himself - as instruments in the hand of God. John’s humility has deeply impressed Christians through the ages. Before anyone had heard of Jesus of Nazareth, people were travelling vast distances to see John the Baptist. Yet he always pointed to Jesus and away from himself. “He must increase, I must decrease” (Jn 3:30), was what he said. John actually encouraged his disciples to leave him and follow Jesus. We, too, as a prophetic people, are called to be poor in spirit. In any case, for the self-sufficient, the proud, those who think they have no need of a Saviour, there will be no REAL Christmas. Only the poor in spirit, those who hunger for God, those who need someone to come on their behalf, will know that Someone. That someone is Jesus, our Emmanuel, our God-with-us. Let’s examine our hearts to see if we are properly prepared with the right spiritual disposition to receive Jesus this Christmas, the King of kings, who humbled himself and was born in a manger. whom thou didst fashion from the dust of the earth. Today's Gospel is the response Mary made to Elizabeth's acknowledgment of her blessedness. Mary's words are infused with expressions found in other Biblical canticles and songs which she clearly knew off by heart. On her lips, however, the words are imbued with a far deeper meaning than they had in the Old Testament. Mary's rejoicing begins with the stark acknowledgment that she is "saved by grace" ("my spirit hath rejoiced in God MY SAVIOUR"). Incidentally this is one of the truths that the doctrine of the Immaculate Conception seeks to guard. In union with Mary and the Church down through the ages we pray her song, "the Magnificat" EVERY DAY at Evensong (or "Vespers"). The Church makes these words her own, singing exuberantly the song of Mary's rejoicing, and, incidentally, reminding ourselves that our only hope of salvation is God's grace. With Mary - who is often said to have "foreshadowed" the Church - we bless and thank God for his loving-kindness and grace, and all the other blessing he has given us. Mary is struck by her own lowliness before the immensity of God's power and greatness, for he has worked wonders. As we sing her song, we, too, will be humbled by that same power and greatness; most of all we will be smitten by his love. We are approaching the end of Advent. Today Mary shows us way. Mulling over her prayer in faith, humility and love, and making it our own by faith, will help us to be ready for the coming of Jesus. who sit in darkness and the shadow of death. Most of us have realized at one time or another, no matter how fleetingly, that the solution to many of our personal problems may be found in just forgetting ourselves. More positively, in concentrating our attention and energy on someone else or on some good cause. Today we think of Mary - after her words of acceptance to the Angel - "making haste", climbing up into the hill country to share with her cousin Elizabeth (and John the Baptist discerning the sacredness of this Visitation from the vantage point of his mother's womb!). Possibly Mary went in order to share with Elizabeth what had happened to her; but undoubtedly she made that arduous journey so as to assist Elizabeth - a much older woman - in her pregnancy. We read that Mary stayed there for three months. What a visit! No wonder it has a feast day of its own in the middle of the year. Notice that the older woman says she is "honoured" with a visit from "the mother of my Lord." It is also significant that Elizabeth says to Mary, "And blessed is she who believed that there would be a fulfilment of what was spoken to her from the Lord" (v.45). May we be known as children of Mary who always believe that the Lord will fulfil his word! There is, of course, a sense in which the Church is foreshadowed in Mary's visit to Elizabeth. As Mary carried Jesus within her and brought great joy to her cousin, so our vocation is to bless others by bringing Jesus to them. and making her the mother of our Saviour. We all know friends or relatives in difficult circumstances: struggling with cancer, separated from loved ones, depressed or discouraged, saddened by death or other losses. What can we say or do? "I'll pray for you", "I'll remember you at Mass", or "I'll light a candle for you" are the kind of things we might say. To those without faith those expressions might mean very little. But when Christians promise to pray for others, our promise is based on what the Angel said to Mary: "Nothing is impossible with God" (better translated as "No word of God is lacking in power"). Mary models the kind of faith that makes "I'll pray for you" really mean something. In his sonnet, "The Lantern out of Doors", Gerard Manley Hopkins, speaks of his and our concern for friends who for various reasons are no longer within the reach of any good we can do. Where we can't go, he says, Christ follows and cares; in his words, Christ is "their ransom, their rescue, and first, fast, last friend." One of the lessons of Advent is persistence in prayer. Because we believe nothing is impossible for God, we trust that God can care for others and do for them good beyond our little conceptions. Today's First Reading from the book of Judges recounts the birth of Samson. His father's name was Manoah and came from Zorah, in the territory of Dan. (Dan was one of the twelve sons of Jacob.) The wife, whose name is not given, is barren - the greatest curse a married woman could suffer in her society. She shares this fate with some other prominent women in the Old Testament - Sara, the mother of Isaac; Rebecca, the mother of Jacob; Hannah, the mother of the prophet Samuel; and, of course, in today's Gospel, Elizabeth the mother of John the Baptist. An angel of the Lord appears to her, saying, "You will conceive and bear a son." From his very conception Samson is to be regarded as a Nazirite, in preparation for his special vocation. In so many ways this episode foreshadows the birth of John the Baptist, of which we read in today’s Gospel, beginning with Zechariah’s encounter with the angel, Gabriel, and his subsequent period of silence to ponder the angel’s promise of John’s birth to his “barren (until then) wife, getting on in years." Today’s readings emphasise that nothing is impossible to God. He is faithful to his promises. Time and time again in the history of Israel, God had acted in the midst of everyday human life. Time and time again the people had at first failed to recognize his presence and then come to believe him. It is good for us to remember that Zechariah sees his vision in the course of faithfully carrying out his ordinary tasks. That he is slow to believe is easy to understand. When God breaks through into our ordinary, everyday lives, it can be hard to believe that it is happening. Let us ask the Lord to help us grow in faith, and – as the Church – pass from the barrenness which we know only too well to real fruitfulness that the Lord will be glorified in our time. Even people who like travelling say, "How good it is to be home." This is much more the case for those who have been forcibly driven out of their homes or even deported. In our own time we are familiar with the sight of wandering, homeless refugees. In today's first reading, the prophet Jeremiah promises that God will give the israelites a new king, a good king, unlike the previous ones who had been responsible for the people's hardships, including their exile. It is said of the new king that he will bring the house of Israel back from all the lands to which thy were banished. "They shall again live on their own land." In celebrating the season of Advent, the Church helps us to come back home from our exile, our state of being away from God, of being lost in a world of greed, violence and selfishness. No matter how well life goes for us, or how well adjusted to it we become, in this world we will always have a sense of exile from our true and lasting home. In fact our REAL exile is self-imposed whenever we try to organize our life around something other than the Lord Jesus Christ. By using the Advent season to point us day after day to the coming of Jesus, the Church tries to make sure that we are focussed on our true home. That true home is, of course, life in eternity with God; yet that same life bursts in upon us here and now wherever Jesus is allowed to be king over our lives. In the Church's traditional cycle of prayer, Evening Prayer, also called Vespers, always includes the great song of Mary known as the Magnificat. 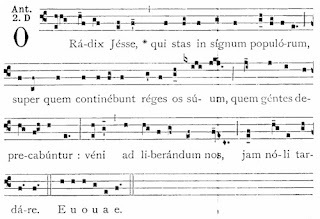 This song is preceded and followed by a short verse or "antiphon" that links it to the feast of the day or the season of the year. In the last seven days of Advent (December 17-24), the Magnificat antiphons are very special. Each begins with the exclamation "O" and ends with a plea for the Messiah to come. As Christmas approaches the cry becomes increasingly urgent. 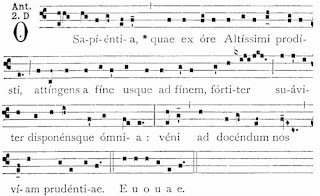 These "O Antiphons" were composed in the seventh or eighth century when monks put together some of the key Old Testament texts and phrases looking forward to our salvation. They form a rich, interlocking mosaic of Scriptural images; in the Middle Ages the custom grew of ringing the great bells of the church each evening as they were being sung. 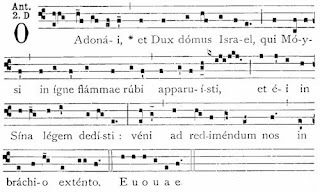 A particularly fascinating feature of the O Antiphons is that the first letter of each invocation, when read backwards, forms an acrostic in Latin: the first letters of Sapientia, Adonai, Radix, Clavis, Oriens, Rex, and Emmanuel in reverse form the Latin words: ERO CRAS. These are understood as the words of Jesus, responding to his people's plea, saying "Tomorrow I will be there." I have adapted the short reflection on the Scripture readings for each of these days from Homilies for Weekdays, by Don Talafous (Liturgical Press, 2005). Come and teach us the way of understanding. Jesus has an interesting family tree! It emphasises the work of God's grace in the flow of real history with real people, saints and sinners alike. It encourages us to look for signs of his grace in our lives. For many years I was in the habit of being grumpy for just about all of Advent. The reason, of course, is that while in our tradition we try to observe the season as the Church intended, the world around us was already into Christmas carols and Santa Claus songs. It seemed a bit like getting straight to Easter Day without journeying through Holy Week. But I now think that we should give up being grumpy about Christmas carols in Advent . . . especially the secular kind of “Carols by Candelight” that have evolved into mega performances with vast numbers of entertainers singing with massed choirs and orchestras. Why? I have noticed that in recent years at least some of these events involve good and devout people who work really work hard to convey something of the authentic Gospel. In Australia we have a handful of entertainers of different traditions whose real Christian faith has a capacity to reach people on such occasions when the words of a preacher would almost certainly fall on deaf ears. Each year Silvie sings at Australia’s largest and most spectacular Carols by Candelight in the Melbourne Myer Music Bowl. It is televised nationally. She always manages to re-focus the attention onto Jesus, not just the baby Jesus of the manger, but the Saviour who reaches out to us now with his love and healing, and the Lord of glory who will reign for ever and ever. Her sincere devotion turns a secular crowd - if just for a few minutes - into a congregation as she sings the Lord’s praises. This video is of Silvie Paladino singing “Your grace still amazes me” at the 2006 Carols by Candelight. I'm sure it will be a blessing to you. This is an extract from an Advent address given by Fr Colin who is Superior of the Community of the Servants of the Will of God, in the U.K. I have taken it from the Advent 2008 edition of the Church Observer, magazine of the Church Union. Go HERE to their we bite. His text is Mark 13.32-37: “Of that day or that hour no one knows, not even the angels in heaven, nor the Son, but only the Father. Take heed, watch and pray; for you do not know when the time will come. It is like a man going on a journey, when he leaves home and puts his servants in charge, each with his work, and commands the doorkeeper to be on the watch. Watch therefore - for you do not know when the master of the house will come, in the evening, or at midnight, or at cockcrow, or in the morning - lest he come suddenly and find you asleep. And what I say to you I say to all: Watch." Advent is a time of waiting. Waiting to celebrate the coming of Christ as a child, born of the Virgin Mary at Bethlehem. It is a time of renewing our conviction that he will come again, to judge the world, and that his coming will be in power and great glory. We do not know when that will be, as he himself has told us that no one knows. Yet we still have to long for it and wait for it, and not settle down and think that because it has been such a long time, it will never happen. As he says in that gospel reading, each of us has our work to do and in doing that, we will keep ourselves ready. All through Advent the bible readings and the hymns say the same thing - keep awake, be on your guard, lift up your heads, stand erect, look. Our first task, then, in keeping watch, is to remain faithful, to strengthen our faith through prayer, the scriptures, worship and service. We have to look at the priorities in our lives, how we use our time, how we use the opportunities that are given to us to love and care for others, how we work to build up the Church. We have to notice what we do and say, we have to notice what we think, and we have to test that against the Gospel. When we notice that there is a disparity, then we have to repent, turn again in the right direction, look towards the Lord afresh. We have to exercise a responsibility for ourselves and for what we are but not get despondent when we feel we are not making a very good job of what we know God wants us to be because then we start looking down, turning away from him who is our hope. All around us is a lot of despair, terrible suffering, much deep unhappiness. It comes right into our homes on the television and in the newspapers. We feel helpless in the face of it, the sheer complexity and size of it. The second task in keeping watch is not to let it get us down. There needs to be much com-passion and love, much prayer and doing what we can in practical ways - but we mustn’t let the fear and despair get inside us. The celebration of the birth of Christ can help us to prevent that happening. He came, born of the Virgin Mary, poor, humble, vulnerable, small. This coming in extraordinary simplicity was God’s way of coming and sharing in our life and this shows us that he knows about all the pain and grief in the world, for he has been part of it himself. Through his cross, resurrection and ascension to the Father, he has over-come death, the greatest fear, the greatest cause of despair, and opened up for us the way to return to the Father. It began in that simple, humble way. So we don’t have to worry about feeling small, insignificant, helpless. God himself has been like that. The Isle of Iona is a small island off the west coast of Scotland, where in 563 Columba founded a Celtic monastery that was very influential in its own times. In the middle ages it was the site of a Benedictine abbey and over the centuries has attracted many thousands of people on their own pilgrim journeys. The Iona Community, founded in 1938 by the Rev George MacLeod, then a parish minister in Glasgow, is an ecumenical Christian community that is committed to seeking new ways of living the Gospel in today's world. Initially this purpose was expressed through the rebuilding of the monastic quarters of the mediaeval abbey on Iona and pursued in mission and ministry throughout Scotland and beyond. 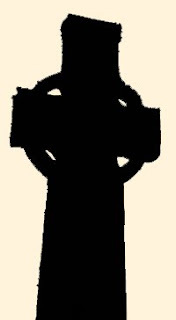 Today the Iona Community has almost 250 Members, mostly in Britain, who live under a common Rule and seek to relate the experiences and insights of Celtic spirituality to modern life. This Advent Prayer is from Cloth for the Cradle by the Iona Community Wild Goose Worship Group. because we only look at what we want to see. signs of hope we can fasten on and encourage. and people of limited ability. might identify and wean a potential in the waiting. open our eyes, in yearning, for Jesus. O come, O come, Immanuel. "The Immaculate Conception of our Lady, was one of the Church of England's gifts to the rest of the Western Church. We borrowed it from the East in Saxon days; Norman bishops tried to ban it on the grounds that it wasn't observed in Rome; but we hung on to it and eventually Rome came round to our way of thinking. An early contribution of the Anglican Patrimony!" 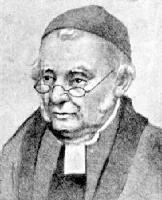 SOME CLASSICAL ANGLICAN EXPRESSIONS: . . . Jesus Christ "Who being true and natural God, equal and of one substance with the Father, did at the time appointed take upon Him our frail nature, in the Blessed Virgin's womb, and that of her undefiled substance". "If Elizabeth cried out with so loud a voice, Blessed art thou among women, when Christ was but newly conceived in her womb, what expressions of honour and admiration can we think sufficient now that Christ is in heaven, and that Mother with him. Far be it from any Christian to derogate from that special privilege granted her, which is incommunicable to any other. We cannot bear too reverend a regard unto the Mother of our Lord, so long as we give her not that worship which is due unto the Lord himself." In England, the feast of the Conception of Mary was intimately associated with what was later defined as the doctrine of the Immaculate Conception, and had been especially kept in England. Its retention in the Book of Common Prayer Calendar indicates at the very least that the Church of England did not intend to exclude belief in the doctrine. (A quote from a paper I gave nearly 20 years ago to a group of clergy). As Eve when she her fontal sin reviewed. Into her heart celestial love inspired. FROM THE EVANGELICAL TRADITION and at the same time echoing the teaching of Lumen Gentium: "The Immaculate Conception of Mary gives the clue to understanding her particular place among her son's people. She is the first Christian, the first of the redeemed, the first of our flawed human race to have received the fullness of redemption. From first to last - in Catholic dogma, from Immaculate Conception to Assumption - she was a human being, transformed by the grace of God into what, in the divine purpose, she was intended to be." ANGLICAN & ROMAN CATHOLIC STATEMENT: "It is not so much that Mary lacks something which other human beings 'have', namely sin, but that the glorious grace of God filled her life from the beginning.12 The holiness which is our end in Christ (cf. 1 John 3:2-3) was seen, by unmerited grace, in Mary, who is the prototype of the hope of grace for humankind as a whole. According to the New Testament, being 'graced' has the connotation of being freed from sin through Christ's blood (Ephesians 1:6-7). The Scriptures point to the efficacy of Christ's atoning sacrifice even for those who preceded him in time (cf. 1 Peter 3:19, John 8:56, 1 Corinthians 10:4). Here again the eschatological perspective illuminates our understanding of Mary's person and calling. In view of her vocation to be the mother of the Holy One (Luke 1:35), we can affirm together that Christ's redeeming work reached 'back' in Mary to the depths of her being, and to her earliest beginnings. This is not contrary to the teaching of Scripture, and can only be understood in the light of Scripture. Roman Catholics can recognize in this what is affirmed by the dogma - namely "preserved from all stain of original sin" and "from the first moment of her conception." AND TO COME FULL CIRCLE . . . Here is the last bit of a sermon preached by Fr Hunwicke at Pusey House, Oxford, two years ago. In a sermon I preached forty years ago, at the Mattins of Christmass Day in the year of my diaconate, I said that the Incarnation meant that God was in the belly of a Palestinian peasant girl who is Queen of Heaven. Critics fell into three categories: those who disliked my phrase because of its physicality and because it placed the origins of our faith among foreigners (surely Mary must have been a middle-class Englishwoman and if not a member of the WI then at least of the Young Wives); those who didn't like the phrase Queen of Heaven; and those who disliked both. 'The Immaculate Conception'. It's a lovely rolling phrase, isn't it (we classicists would analyse its rhythm as the trispondaicus). And it's a phrase, too, that can scare people silly. Is it sometimes the physicality - again, of conception - that disturbs them; conception, a process that occurs a little way south of the tummy button? Not the sort of thing the fastidious want to have dragged in front of their noses. C S Lewis points out that the devils too are fastidious in their horror at the flesh: Screwtape refers to a human as 'this animal, this thing begotten in a bed'. Or perhaps people are scared of the word 'Immaculate'; perhaps it suggests foreign religion - little old Irish women clutching their rosaries or Spanish ladies in black making their nine successive First Saturday communions in honour of the Immaculate Heart (a devotion which Cardinal Ratzinger with gentle irony once called 'surprising for people from the Anglo-Saxon and German cultural worlds'). But 'immaculate' is a completely biblical concept in its Hebrew and Greek equivalents: it means spotless; and only what is without blemish is truly for God (for example, a spotless sacrificial lamb). Because Mary is to be wholly for God, is to give God his body, to give God his endowment of genes, give God the food of her breast: so Mary by God's gift is to be the Immaculate, the one without blemish, the one in whom the Divine likeness has never been marred. It is because Mary alone in the roots of her being is unmarked by sin that Mary alone is truly and wholly free. 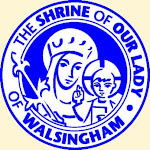 In our hearts, too, we should make her free and 'fear not'; she is never to be locked up in the tourist industry as a statue of doubtful taste carried in processions by foreign peasants for the English to photograph from within their coaches; Mary is not to be locked up by the Heritage business in a Merry England; she is not to be the Madonna of the Art Historians imprisoned in coffee table books. If Mary is the Mother of God Incarnate, she is our Mother too, because we are in Christ, limbs of his body by our baptismal incorporation. Mary comes to us tonight, and what would a mother bring us her children except food; food for her children in exilio; food packed for our journey. Mary comes to this place and to this moment of time; Mary comes, bright with all the beauties known by men and angels; Mary comes to set upon our lips the blessed fruit of her womb Jesus. 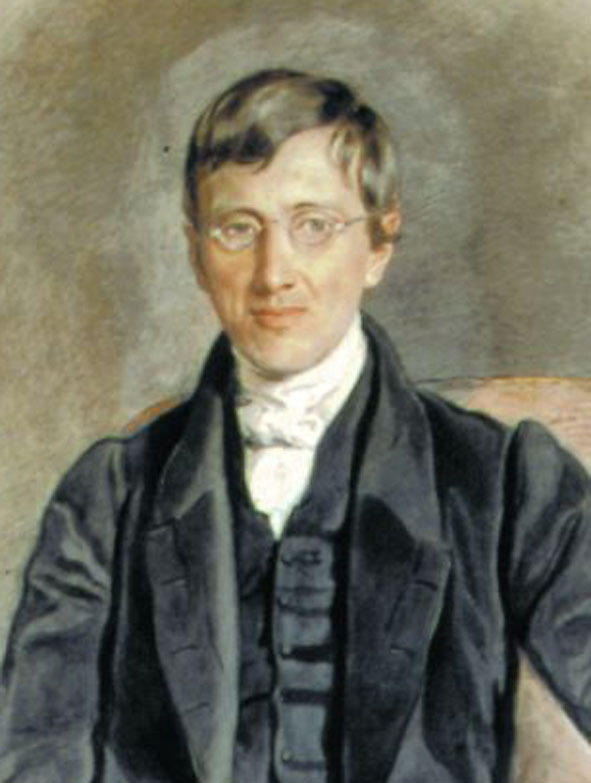 It is not only John Henry Newman who is awaiting "official" canonization by the Church. Among others whose "causes" are being worked on at the moment in Rome is Catherine de Hueck Doherty (1896 - 1985), the foundress of Madonna House in Combermere, Canada. You can read about her, and the present ministry of Madonna House HERE. The following is from Grace in Every Season : Through the Year with Catherine Doherty, Madonna House Publications, Ontaria, Canada, 2001. I want to discuss with you this wondrous season of Advent, the days of expectation, of awaiting the desired one. I ask myself, do we really desire the Lord? To desire something is to be constantly absorbed in that desire. This Advent we should go deeply into our hearts, minds, and souls. Let us clean house, and make a loving manger for the Christ Child into which he can be born in all his splendour. One thing that can prevent this is looking at the world from the narrow cell of self. I suggest that for this Advent we remove from our vocabularies, from our conversations, our thoughts (and, if possible, from our dreams) the sentences: "I feel," "I want," and "I would like." Let us replace then with: "What does God want of me?" Let us bury the word "I Take a big shovel, make a big hole, stick the word "I" in there, and put a cross on top. Because the word "I" is the greatest enemy of he, she, and we. Remember that; it's very important. So try not to use the word "I," especially, "Oh I need this . . . Oh, I need that." No! If this change of attitude takes place, our life would really take a giant leap toward peace and love, and hence toward happiness and joy. So do this for Advent, and do little things with great love for Christ. Then our minds, hearts, and souls will become a lovely manger in which the Lord can be born and grow to his full stature within us. When he does, we shall know happiness supreme. 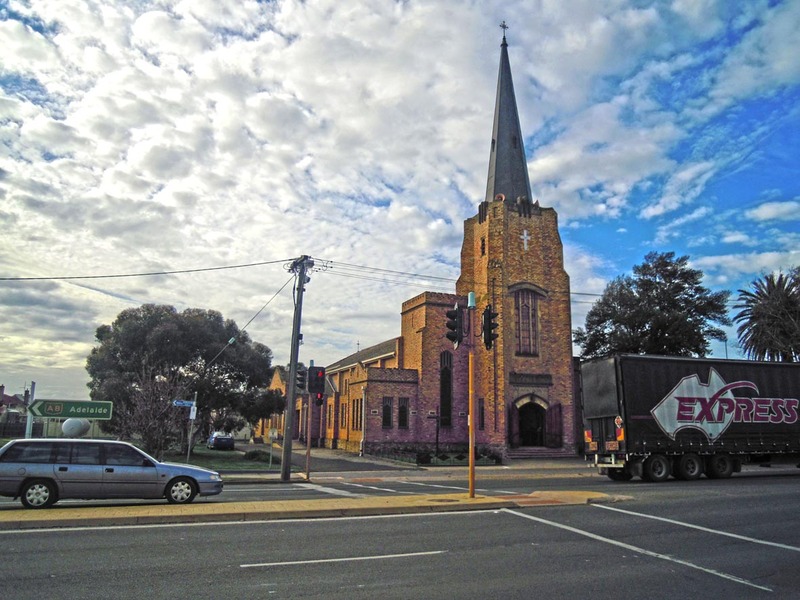 Down in Sydney, one of the best resources to help us share the basics about believing in God with our secular friends is the CENTRE FOR PUBLIC CHRISTIANITY. Go to their website HERE. There are heaps of interesting essays, videos and mp3 audio talks put together to help "ordinary" Christians become thoughtful communicators. They have made available some short videos of an interview with Professor Alvin Plantinga, a leading American philosopher, from the University of Notre Dame, where he is something of an institution having been there since 1982. He is especially well-known for his work in the philosophy of religion. Plantinga is one of the key reasons why we are experiencing a renaissance of interest in a philosophical defense of Christianity. 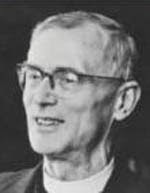 His argument, made in the 1970s, that established that there is no ‘logical’ inconsistency in believing in an all-powerful loving God despite the reality of suffering, was something of a turning point in Philosophy. In this interview at Notre Dame, Simon Smart talks to Plantinga about God, Richard Dawkins and personal faith. Plantinga provides a summary of his evolutionary argument against Naturalism, as well as giving a personal reflection on the highs and lows of a life of faith. Part I: Reasons for God: Plantinga explains why he believes there is a God, and gives us a summary of his argument that says naturalism cannot be rationally believed. Part II: Where Richard Dawkins goes wrong: Plantinga suggests that Richard Dawkins is not only weak in argumentation, but that his conception of human nature is unlovely and dispiriting. Part III: Sure Faith Without Proof: Why faith makes sense even though we can't 'prove' its worth and truth. Part IV: Is God Good? In the final part of the interview, Plantinga responds to the criticism that the God of Old Testament is a moral monster. He also goes on to describe the hardest aspects of being a believer and the ways he has experienced God in his life. 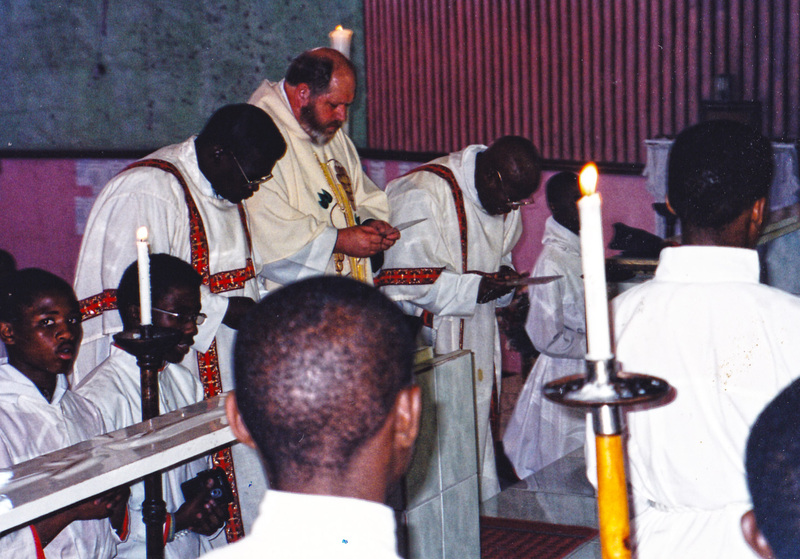 Brother Alois became Prior of the Taizé community in 2005. He has co-ordinated the organization of the international meetings at Taizé and the European meetings held in various major cities of Europe. And if the season of Advent came to renew hope in us? Not a facile optimism that closes its eyes to reality, but that strong hope that casts its anchor in God and enables us to live fully in the present day. The Christian year begins with Advent, the time of expectant waiting. Why? To reveal to us the aspiration that lies within us and to deepen it: the desire for an absolute to which each person tends with their entire being-body, soul and mind-the thirst for love that burns in everyone, from tiny infants to elderly people, and that even the greatest human intimacy cannot completely satisfy. We often experience this expectancy as a lack or as emptiness that is difficult to accept. But far from being an anomaly, it is part of our being. It is a gift; it leads us to open ourselves; it orients our entire being towards God. If we dare to believe that the emptiness can be filled by God, then already we can live this expectant waiting with joy. 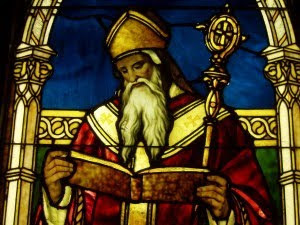 Saint Augustine helps us when he writes: "A Christian's entire life is a holy desire. by making us wait, God extends this desire; by making us desire, he extends the soul; by extending the soul, he makes it able to receive... If you desire to see God, you already have faith." Brother Roger loved those words of Saint Augustine and it was in that spirit that he prayed: "God, you love us: when we have the desire to welcome your love, that simple desire is already the beginning of a humble faith. In the depths of our soul little by little a flame is kindled. It may be quite faint but it keeps on burning." Reading this long history can awaken in us the sense of gradual maturation. Sometimes we would like to have everything at once, without realizing the value of times of ripening! But the psalms offer a different outlook: "My times are in your hand, Lord" (Psalm 31:16). Knowing how to wait... Being there, simply, with no ulterior motives. Kneeling in order to recognize, even with the body, that God acts differently than we imagine. Opening our hands as a sign of welcome. God's response will always be a surprise. By preparing us for Christmas, Advent prepares us to welcome. Even if we are not always able to express our inner desire in words, keeping silence is already an expression of openness to God. During this season of Advent, we remember that God himself came, in Bethlehem, in a great silence. The stained-glass window of the Annunciation in the church in Taizé shows the Virgin Mary recollected and open; she remains in silence in the expectation that the promise of God's angel is going to be fulfilled. Just as the long history that came before Christ was the prelude to his coming to earth, in the same way Advent enables us each year to open ourselves gradually to Christ's presence in us. Jesus discerns our expectation just as one day he discerned that of Zacchaeus. And he says to us, as he said to him, "I must stay with you today" (Luke 19:5). Will we let the joy of Zacchaeus come to birth in us? Then our hearts, like his, will open to others. He decided to give half of his goods to the poor. Today, we know that much of humankind is thirsting for a minimum of material well-being, for justice, for peace. During the season of Advent, are there forms of solidarity we can put into practice in our lives? The texts we read in the liturgy during Advent express a kind of dream of universal peace: "peace abounds till the moon is no more" (Psalm 72:7), "endless peace" (Isaiah 9:7), a land where "wolves live with lambs" and where there is no more violence (Isaiah 11:1-9). These are poetical texts, but they awaken a longing in us. And we see that "peace on earth" can come to birth in all the acts of reconciliation that take place, in the trust that people find in each other. Trust is like a small mustard-seed that will grow and, little by little, become the great tree of God's kingdom where "peace without end" flourishes. Trust on earth is a humble beginning to peace. The following is made up of two magisterial passages from Newman's sermon "Watching", first published in 1838 (in Parochial and Plain Sermons, Volume 4). Do you know the feeling in matters of this life, of expecting a friend, expecting him to come, and he delays? Do you know what it is to be in unpleasant company, and to wish for the time to pass away, and the hour strike when you may be at liberty? Do you know what it is to be in anxiety lest something should happen which may happen or may not, or to be in suspense about some important event, which makes your heart beat when you are reminded of it, and of which you think the first thing in the morning? Do you know what it is to have a friend in a distant country, to expect news of him, and to wonder from day to day what he is now doing, and whether he is well? Do you know what it is so to live upon a person who is present with you, that your eyes follow his, that you read his soul, that you see all its changes in his countenance, that you anticipate his wishes, that you smile in his smile, and are sad in his sadness, and are downcast when he is vexed, and rejoice in his successes? To watch for Christ is a feeling such as all these; as far as feelings of this world are fit to shadow out those of another. He watches for Christ who has a sensitive, eager, apprehensive mind; who is awake, alive, quick-sighted, zealous in seeking and honouring Him; who looks out for Him in all that happens, and who would not be surprised, who would not be over-agitated or overwhelmed, if he found that He was coming at once. And he watches with Christ, who, while he looks on to the future, looks back on the past, and does not so contemplate what his Saviour has purchased for him, as to forget what He has suffered for him. He watches with Christ, who ever commemorates and renews in his own person Christ's Cross and Agony, and gladly takes up that mantle of affliction which Christ wore here, and left behind Him when he ascended. And hence in the Epistles, often as the inspired writers show their desire for His second coming, as often do they show their memory of His first, and never lose sight of His Crucifixion in His Resurrection. Thus if St. Paul reminds the Romans that they "wait for the redemption of the body" at the Last Day, he also says, "If so be that we suffer with Him, that we may be also glorified together." If he speaks to the Corinthians of "waiting for the coming of our Lord Jesus Christ," he also speaks of "always bearing about in the body the dying of the Lord Jesus, that the life also of Jesus might be made manifest in our body." If to the Philippians of "the power of His resurrection," he adds at once "and the fellowship of His sufferings, being made conformable unto His death." If he consoles the Colossians with the hope "when Christ shall appear," of their "appearing with Him in glory," he has already declared that he "fills up that which remains of the afflictions of Christ in his flesh for His body's sake, which is the Church." [Rom. viii. 17-28. 1 Cor. i. 7. 2 Cor. iv. 10. Phil. iii. 10. Col. iii. 4; i. 24.] Thus the thought of what Christ is, must not obliterate from the mind the thought of what He was; and faith is always sorrowing with Him while it rejoices. And the same union of opposite thoughts is impressed on us in Holy Communion, in which we see Christ's death and resurrection together, at one and the same time; we commemorate the one, we rejoice in the other; we make an offering, and we gain a blessing. This then is to watch; to be detached from what is present, and to live in what is unseen; to live in the thought of Christ as He came once, and as He will come again; to desire His second coming, from our affectionate and grateful remembrance of His first. And this it is, in which we shall find that men in general are wanting. They are indeed without faith and love also; but at least they profess to have these graces, nor is it easy to convince them that they have not. For they consider they have faith, if they do but own that the Bible came from God, or that they trust wholly in Christ for salvation; and they consider they have love if they obey some of the most obvious of God's commandments. Love and faith they think they have; but surely they do not even fancy that they watch. What is meant by watching, and how it is a duty, they have no definite idea; and thus it accidentally happens that watching is a suitable test of a Christian, in that it is that particular property of faith and love, which, essential as it is, men of this world do not even profess; that particular property, which is the life or energy of faith and love, the way in which faith and love, if genuine, show themselves . . .
. . . Year passes after year silently; Christ's coming is ever nearer than it was. O that, as He comes nearer earth, we may approach nearer heaven! O, my brethren, pray Him to give you the heart to seek Him in sincerity. Pray Him to make you in earnest. You have one work only, to bear your cross after Him. Resolve in His strength to do so. Resolve to be no longer beguiled by "shadows of religion," by words, or by disputings, or by notions, or by high professions, or by excuses, or by the world's promises or threats. Pray Him to give you what Scripture calls "an honest and good heart," or "a perfect heart," and, without waiting, begin at once to obey Him with the best heart you have. Any obedience is better than none,-any profession which is disjoined from obedience, is a mere pretence and deceit. Any religion which does not bring you nearer to God is of the world. You have to seek His face; obedience is the only way of seeking Him. All your duties are obediences. If you are to believe the truths He has revealed, to regulate yourselves by His precepts, to be frequent in His ordinances, to adhere to His Church and people, why is it, except because He has bid you? and to do what He bids is to obey Him, and to obey Him is to approach Him. Every act of obedience is an approach,-an approach to Him who is not far off, though He seems so, but close behind this visible screen of things which hides Him from us. He is behind this material framework; earth and sky are but a veil going between Him and us; the day will come when He will rend that veil, and show Himself to us. And then, according as we have waited for Him, will He recompense us. If we have forgotten Him, He will not know us; but "blessed are those servants whom the Lord, when He cometh, shall find watching ... He shall gird Himself, and make them sit down to meat, and will come forth and serve them. And if He shall come in the second watch, or come in the third watch, and find them so, blessed are those servants," [Luke xii. 37, 38.] May this be the portion of every one of us! It is hard to attain it; but it is woeful to fail. Life is short; death is certain; and the world to come is everlasting. Matthew Woodley is the Senior Pastor at Three Village Church, New York City. He is best known for his articles in Leadership Journal, Discipleship Journal and Rev! Magazine. His popular book on spirituality, Holy Fools: Following Jesus with Reckless Abandon, (SaltRiver) looks at radical discipleship from the time of the Desert Fathers to our own day. This moving passage comes from Devotions for Advent Holy Bible: Mosaic, published by Credo Communications. A few years ago, on the first Sunday of Advent, I played John Lennon's song "Imagine" right before my sermon. It wasn't a universal hit. The lyrics may be controversial; he imagines a live-for-today existence with no heaven and no hell, but he longs for a better place where "the world will be as one." In my defense, I clearly stated that, contra Lennon's lyrics, I believe in heaven, hell, the blood of Jesus, and things worth dying for. But Lennon was right about one thing: This world is broken, and we should yearn for its healing. Our hearts should ache for a better world. Sadly, our culture often fosters a complacent, blasé, smug approach to Christianity. In the words of C. S. Lewis, "We are far too easily pleased." We're happy to numb and freeze our restless ache for a better world. Advent is the season of the church year that ignites that longing in our hearts. Before we rush into "Happy Holidays," we pause and let longing rise up within us. Throughout Advent we catch glimpses of a better world. And as we catch glimpses of this Messiah-healed world, we long for its coming now. All of the best Advent hymns capture this spirit of groaning and longing for Messiah's better world. When we sing "O Come, O Come, Emmanuel," with its dark, unresolved melody, it cracks our hearts open with longing's wound. And yet, we know Messiah has come, even as we wait for him to come again. Advent is a deliciously painful mix of joy and anguish. This Advent-like longing is at the heart of Christian spirituality. Augustine's Latin phrase desiderium sinus cordis-"yearning makes the heart grow deep"-became a central theme in his pilgrimage on earth. Augustine cried out, "Give me one who yearns; . . . give me one far away in this desert, who is thirsty and sighs for the spring of the Eternal country. Give me that sort of man: he knows what I mean." C. S. Lewis claimed that in this life the Advent-like stab of longing serves as a spiritual homing device, placed deep in our heart by God to lead us back to him. Thus, as Psyche realizes in Till We Have Faces, "It almost hurt me . . . like a bird in a cage when the other birds of its kind are flying home. . . . The sweetest thing in all my life has been the longing . . . to find the place where all the beauty came from. . . . The longing for home." Advent trains us to ache again. Of all the seasons of the church year, Advent is the time to acknowledge, feel, and even embrace the joyful anguish of longing for Messiah's birth and the world's rebirth. So we sing our aching songs while we light candles and festoon the church with greenery. That is Advent longing, and we couldn't imagine it any other way. 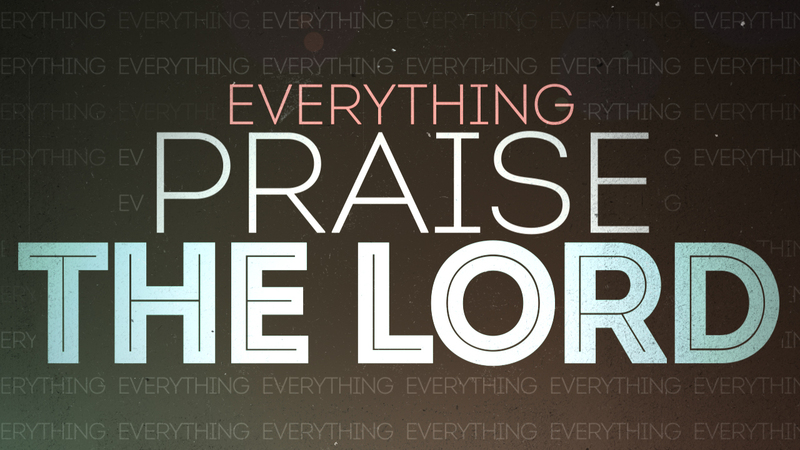 And things terrestrial, Lord alone. St AUGUSTINE FOR THE LAST DAY OF THE YEAR - "Sing your way through temptations"
"Now to him who is able to keep you from falling and to present you without blemish before the presence of his glory with rejoicing, to the only God, our Saviour through Jesus Christ our Lord, be glory, majesty, dominion, and authority, before all time and now and for ever. Amen." Let us sing alleluia here on earth, while we are still anxious and worrying, so that we may one day be able to sing it there in heaven, without any worry or care. Why anxious and worrying here? You must want me to be anxious, Lord, when I read, Is not man's life on earth a trial and a temptation? You must want me to worry when temptation is so plentiful that the Prayer itself tells us to worry, when we say, Forgive us our trespasses as we forgive those that trespass against us. Every day we are petitioners, every day we are trespassers. Do you want me to throw care to the winds, Lord, when every day I am requesting pardon for sins and assistance against dangers? After all, when I have said, because of past sins, Forgive us our trespasses as we forgive those that trespass against us, I must immediately go on to add, because of future dangers, Lead us not into temptation. And how can a people be in a good way, when they cry out with me, Deliver us from evil? And yet, my brethren, in this time that is still evil, let us sing alleluia to the good God, who does deliver us from evil. Even here, among the dangers, among the trials and temptations of this life, both by others and by ourselves let alleluia be sung. God is faithful, he says, and he will not permit you to be tempted beyond what you are able to endure. So even here let us sing alleluia. Man is still a defendant on trial, but God is faithful. He did not say "he will not permit you to be tempted" but he will not permit you to be tempted beyond what you are able to endure; and with the temptation he will also make a way out, so that you may be able to endure it. You have entered into temptation; but God will also make a way out so that you do not perish in the temptation; so that like a potter's jar you may be shaped by the preaching and fired into strength by the tribulation. But when you enter the temptation, bear in mind the way out: because God is faithful, God will watch over you and guard your going in and your coming out. 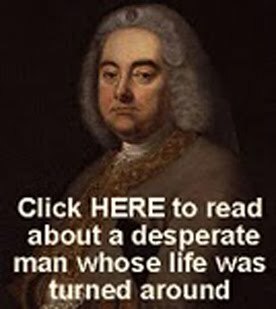 Furthermore, when this body has become immortal and imperishable, when all temptation has been done away with; because the body is dead - why is it dead? - Because of sin. But the spirit is life, because of justice. So do we leave the body dead, then? No, but listen: But if the Spirit of him who raised Christ from the dead dwells within you, then he who raised Christ from the dead will give life to your mortal bodies. So you see: now the body receives its life from the soul, but then it will receive it from the Spirit. O! what a happy alleluia there, how carefree, how safe from all opposition, where nobody will be an enemy, where no-one will ever cease to be a friend! God's praises sung there, sung here - here, by the anxious; there, by the carefree - here, by those who will die; there, by those who will live for ever - here, in hope; there, in reality - here, on our journey; there, in our homeland. So now, my brethren, let us sing, not to delight our leisure, but to ease our toil. In the way that travellers are in the habit of singing, sing, but keep on walking. What does it mean, "keep on walking"? Go onward always - but go onward in goodness, for there are, according to the Apostle, some people who go ever onward from bad to worse. If you are going onward, you are walking; but always go onward in goodness, onward in the right faith, onward in good habits and behaviour. Sing, and walk onwards. These paragraphs are taken from a sermon, "Miracles of Prayer", Dr Pusey preached at Christ Church Cathedral, Oxford, on Septuagesima Sunday, 1866. The entire sermon can be downloaded in pdf format HERE.
. . . Blessed dissatisfaction of man's craving soul; glorious restlessness, the token of its Divine birth, its Divine end; that nothing can satisfy it, except what is the bliss of its God, Infinite, Divine love. Imperfect, faltering, unsatisfactory as are our prayers, their defects but shew the more the goodness of our God, who is never weary of those who are so soon wearied of him, who lets not fall a single earnest cry to him for himself. Not one prayer, from the yearning of the penitent ("would, God, for love of Thee, I had never offended Thee! 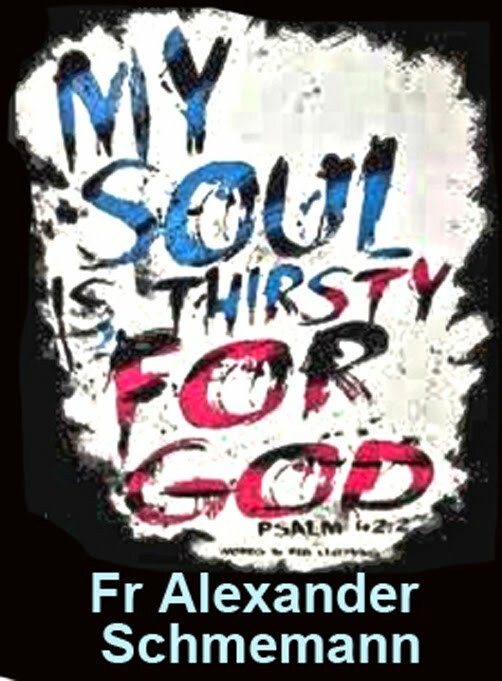 "), to the love-enkindled longing of the Saint ("My God, and my All!)" but will have enlarged thy capacity for the infinite love of God, and will have drawn down to thee the indwelling of God the Holy Ghost, who is Love Infinite, the Bond of the love of the Father and the Son. It will guard thee from all evil in the perilous passage through this world; it will sanctify to thee all thy joys; it will be to thee a calm above nature in all thy sorrows; it will give a supernatural value to all thy acts; it will heal all thine infirmities; it will illumine all thy knowledge; and, when thy flesh and thy heart shall fail, thy last prayer upon earth in the Name of Jesus shall melt into thy first Halleluiah in heaven, where, too, doubtless prayer shall never cease, but the soul shall endlessly desire of God, what God shall unintermittingly supply, more and yet more of the exhaustless, ever-filling fulness of Divine Beauty and Wisdom and Love, yea of himself who is Love. One of the first books on prayer I was given as a teenager (by a robust evangelical friend, I must add) was Living Prayer by Metropolitan Anthony of Sourozh. It has nourshed the lives of many Christians of all traditions, and if you haven't ever read it, I urge you to get a copy. You will not be disapponted! Metropolitan Anthony was born in Lausanne in 1914. He spent his early childhood in Russia and Persia, his father being a member of the Russian Imperial Diplomatic Corps. His mother was the sister of Alexander Scriabin, the composer. During the Russian Revolution the family had to leave Persia, and in 1923 settled in Paris where the future Metropolitan was educated, graduating in physics, chemistry and biology, and taking his doctorate in medicine, at the University of Paris. In 1939, before leaving for the front as a surgeon in the French army, he secretly professed monastic vows. He was tonsured and received the name of Anthony in 1943. During the occupation of France by the Germans he worked as a doctor and took part in the Anti-Fascist movement of the Resistance. 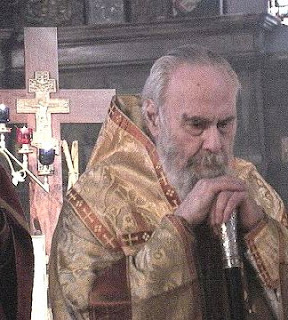 After the war he continued practising as a physician until 1948, when he was ordained to the priesthood and sent to England to serve as Orthodox Chaplain of the Fellowship of St. Alban and St. Sergius. He was appointed vicar of the Russian patriarchal parish in London in 1950, consecrated as Bishop in 1957 and Archbishop in 1962, in charge of the Russian Orthodox Church in Great Britain and Ireland. In 1963 he was appointed Exarch of the Moscow Patriarchate in Western Europe, and in 1966 was raised to the rank of Metropolitan. At his own request he was released in 1974 from the function of Exarch, in order to devote himself more fully to the pastoral needs of the growing flock of his Diocese and all who come to him seeking advice and help.Metropolitan Anthony is Honoris Causa Divinity Doctor: of Aberdeen University 'for preaching the Word of God and renewing the spiritual life of this country'; of the Moscow Theological Academy for his theological, pastoral and preaching work; of Cambridge University; and of the Kiev Theological Academy. His first books on prayer and the spiritual life (Living Prayer, Meditations on a Theme and God and Man) were published in England, and his texts are now widely published in Russia, both as books and in periodicals.Metropolitan Anthony died peacefully 4th August, 2003, at the age of 89. This article is from the website devoted to his memory and his teachings. It is HERE. I met Christ as a Person at a moment when I needed him in order to live, and at a moment when I was not in search of him. I was found; I did not find him. I was a teenager then. Life had been difficult in the early years and now it had of a sudden become easier. All the years when life had been hard I had found it natural, if not easy, to fight; but when life became easy and happy I was faced quite unexpectedly with a problem: I could not accept aimless happiness. Hardships and suffering had to be overcome, there was something beyond them. Happiness seemed to be stale if it had no further meaning. As it often happens when you are young and when you act with passion, bent to possess either everything or nothing, I decided that I would give myself a year to see whether life had a meaning, and if I discovered it had none I would not live beyond the year. Months passed and no meaning appeared on the horizon. One day, it was during Lent, and I was then a member of one of the Russian youth organizations in Paris, one of our leaders came up to me and said, 'We have invited a priest to talk to you, come'. I answered with violent indignation that I would not. I had no use for Church. I did not believe in God. I did not want to waste any of my time. Then my leader explained to me that everyone who belonged to my group had reacted in exactly the same way, and if no one came we would all be put to shame because the priest had come and we would be disgraced if no one attended his talk. My leader was a wise man. He did not try to convince me that I should listen attentively to his words so that I might perhaps find truth in them: 'Don't listen,' he said. 'I don't care, but sit and be a physical presence'. That much loyalty I was prepared to give to my youth organization and that much indifference I was prepared to offer to God and to his minister. So I sat through the lecture, but it was with increasing indignation and distaste. The man who spoke to us, as I discovered later, was a great man, but I was then not capable of perceiving his greatness. I saw only a vision of Christ and of Christianity that was profoundly repulsive to me. When the lecture was over I hurried home in order to check the truth of what he had been saying. I asked my mother whether she had a book of the Gospel, because I wanted to know whether the Gospel would support the monstrous impression I had derived from this talk. I expected nothing good from my reading, so I counted the chapters of the four Gospels to be sure that I read the shortest, not to waste time unnecessarily. And thus it was the Gospel according to St Mark which I began to read. I do not know how to tell you of what happened. I will put it quite simply and those of you who have gone through a similar experience will know what came to pass. While I was reading the beginning of St Mark's gospel, before I reached the third chapter, I became aware of a presence. I saw nothing. I heard nothing. It was no hallucination. It was a simple certainty that the Lord was standing there and that I was in the presence of him whose life I had begun to read with such revulsion and such ill-will. This was my basic and essential meeting with the Lord. From then I knew that Christ did exist. I knew that he was thou, in other words that he was the Risen Christ. I met with the core of the Christian message, that message which St Paul formulated so sharply and clearly when he said, 'If Christ is not risen we are the most miserable of all men'. Christ was the Risen Christ for me, because if the One Who had died nearly 2000 years before was there alive, he was the Risen Christ. I discovered then something absolutely essential to the Christian message - that the Resurrection is the only event of the Gospel which belongs to history not only past but also present. Christ rose again, twenty centuries ago, but he is the Risen Christ as long as history continues. Only in the light of the Resurrection did everything else make sense to me. Because Christ was alive and I had been in his presence I could say with certainty that what the Gospel said about the Crucifixion of the prophet of Galilee was true, and the centurion was right when he said, 'Truly he is the Son of God'. It was in the light of the Resurrection that I could read with certainty the story of the Gospel, knowing that everything was true in it because the impossible event of the Resurrection was to me more certain than any event of history. History I had to believe, the Resurrection I knew for a fact. I did not discover, as you see, the Gospel beginning with its first message of the Annunciation, and it did not unfold for me as a story which one can believe or disbelieve. It began as an event that left all problems of disbelief because it was direct and personal experience. Then I went on reading the Gospel and I discovered a certain number of things which I believe to be essential to the Christian faith, to the attitude of the Christian to the world and to God. The first thing that struck me is that God, as revealed to us in Christ, is everyone's God. He is not the God of a nation, or a confession, or of a denomination, or a more or less peculiar group, he is everyone's creator? Lord and Saviour. In him I discovered that the whole world had cohesion; that mankind was one; that differences and divergencies were not final and decisive, because we were loved of God; all of us equally, although we were called to serve him in a variety of ways, with a variety of gifts, and with a very different depth and width of knowledge. 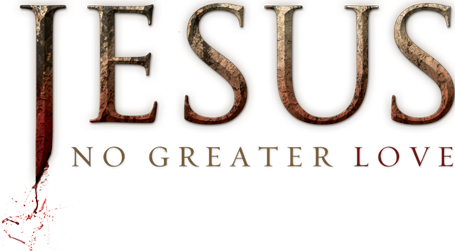 But the greater the knowledge, the greater the closeness, the greater the responsibility in a world that God loved so much that he gave his only begotten Son, for him to die that the world may live. The second thing I discovered was that God not only does not want us to be subservient to him, but that he stands as none other for the dignity of man. He refuses to accept us as slaves; he does not permit us to forsake our dignity of sons and of children. Remember the parable of the Prodigal Son. 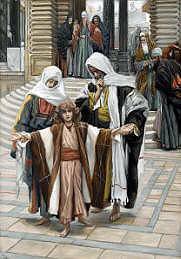 In his humiliation the Prodigal Son is prepared to recognize that he is not worthy to be called any more a son, but in his longing to be accepted again into the forsaken household of the father he is prepared to be admitted into it as a servant. Yet when he comes to making his confession the father allows him to say, only 'I am not worthy to be called thy son,' but he interrupts him then because his son can be an unworthy son, but cannot be a worthy servant. Sonship is a gift that cannot be lost, although it can be profaned. This vision of a God who has respect for human dignity, who stands for it, who will not accept any debased relationship with man, filled me with admiration and with respect and with incipient love for him. And as a corollary - the acceptance by God of utter humiliation and abasement. All the gods of the Ancient World were great: they were the sum total of all that was valued and admired - justice, wisdom, goodness, power. Only God revealed in Christ defeats human imagination, could not be invented by man: a God made in the image of the servant, vulnerable, despised, humiliated, rejected, contemptible, defeated, killed, ruled out, unredeemed in the eyes of men. A God no one would wish to invent or to have - a God one can discover when he reveals himself. A God one accepts with awe and with fear-because he calls us to be like him, upturning all values and giving new meaning to all things. Then I discovered that the world was dear to God. That he had not only made the world to remain afterwards its Creator and become later its Judge. He had created the world in an act of love, and he had never become alien and indifferent to this world he had thus created. The Incarnation unfolded itself (and I am now speaking no longer of this first primeval experience of mine, but of something that has developed in the course of years), the Incarnation unfolded itself in a variety of meanings of depth. But not only of meanings, for the basic experience of reality remained always untouched. When we read the Old Testament we may at moments think of the world once created by God moving and developing before the face of its Creator, and called one day to be judged. This vision is so poor and so inadequate to what the Old Testament teaches us. The fact that God called us, all the world visible and invisible, the fact that God called all things and beings out of naught, out of radical non-existence, into existence is already a relationship. We are related to God by this act of creation and in this act of creation. When we think that whatever and whoever he called into existence is called to be a companion of God for all eternity, we can see the depth of the divine love and the extent of the divine risk. Because we are free to accept the love of God and to reject it we can frustrate this love or fulfil this love. But God's love remains immutable and he remains faithful for ever. He creates each of us in hope and in faith, and at moments when our faith vacillates and our hope sways and wavers we can rest in the divine faith and in the divine hope. When we think that the cost of our faithlessness and our waverings is paid by God in the life and death of the Incarnate Word then we can rest assured in his love. There is a relatedness and a deep relationship between us and God in the very act of creation, and in the very gift of freedom. Freedom is an absolute condition of love, because love is the gift of one's self in perfect freedom, and has no meaning apart from freedom. But there is more to it - the English word 'freedom' is rooted in the Old English word that means 'beloved'; 'my free' meant 'my beloved'. The word Liberty which signifies freedom in other languages defines the status of the child born free in a freeman's household. The Russian word for freedom indicates that we are called to be our own selves, not to imitate, not to ape, not to resemble, but to be ourselves in the image of the One who is perfect freedom and perfect love-truly himself. In all this the relatedness there exists between us and God is revealed particularly in this final act of solidarity which we call the Incarnation. Not only did God remain concerned with us throughout history, but he became one of us through history, and this not for a moment, but forever; not escaping the heaviness, the limitations and the pain of our human destiny, but in order to carry on his human shoulders the consequences of his divine act of creation and of our human rebellion, our rejection of him, lovelessness, godlessness itself. The Incarnation of the Word of God, the becoming man, meant for him that he entered into the realm of time and of death and of limitation and of all the consequences of human godlessness. This solidarity was not for a moment, it was definitive. He became a man, in human history, and he remains a man for ever because 'He sitteth on the right hand of the Father' as a man with hands and feet pierced by the nails, and with his side pierced by the spear. Throughout history and throughout eternity we can see this vision of divine solidarity with us. This solidarity goes infinitely further than we often imagine. It is not simply that he was tired and hungry and thirsty, that he had to face ill will and unfriendliness and eventually hatred. He had to face something more basic to our mortal condition and more essential than this. He had to face the coming of death and the actual dying. This is more than we can imagine, because in the natural course of events Christ could not die! A human body and a human soul united indissolubly and for ever with the Godhead in the mystery and the miracle of the Incarnation was beyond dying. Death was not only like ours - a result of our lack of life - it was the result of an act of divine will which inflicted death on One who was, not only in his Divinity but even in his humanity, alive with life eternal, because life is defined by oneness or union with God. We see him in the garden on the Mount of Olives face to face with death coming upon him, abandoned by human friendship; by those who were his disciples and were no longer solid with his destiny at that moment. He accepted death, which meant already the loss of what was his own being in life. 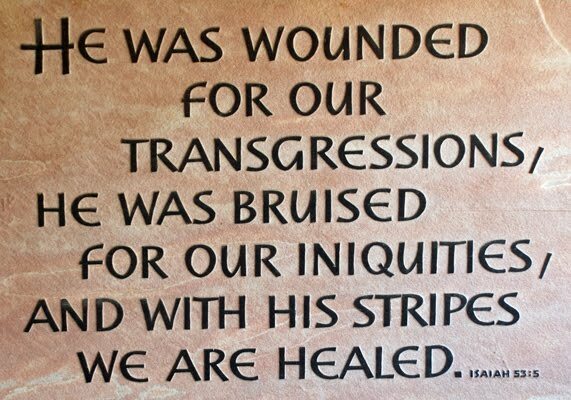 Again upon the Cross the decisive, the most tragic words of history: 'My God, my God, why hast Thou forsaken Me?' Why? Because death is possible only through separation from the source of life, from the Godhead, and for him to die meant that he went through the experience of total, radical, real deprivation of God; of godlessness not only as a world-outlook, not only as an absence of the sense of God, but as a positive loss of the Father. There is not one man on earth who can claim to have known godlessness as Christ knew the absence of God at that moment, without which absence he could not die. This is the extent of the divine solidarity with us. This also is the measure of the divine love and consideration God has for the friend he has created to be his companion of all eternity. People are often prepared to believe in the death of the Cross but not in the Resurrection. How strange! To believe that life can die, and not to be able to believe that life can live. How strange also that we are so poor in the experience of things of our own faith that the only event of history which belongs to our own day is so obscure, and we do not know the Risen Christ while we imagine we are capable of knowing the Christ of the flesh; that Christ of whom Paul said, that we do not know him any more while we now know the Christ of the Spirit, revealed and known to us by the Spirit of God. But in Christ we do not discover only this Divine solidarity and incipiently, as I have tried to show, the value which God attaches to us. We discover also what man is, because he is not only Very God he is also Very Man. Our vocation is to be what he is. This is the meaning of our belief in the Church as the Body of Christ. We are called to be live, real members of a real enlived body, the head of which is the Lord Jesus - one real body, what St Ignatius of Antioch in the first century called the 'Total Christ', Head and Body together. We are called to such intimate community of life with him that what he is we also are to become, in the words of one of the greatest writers of the fourth century, Athanasius of Alexandria, who says, 'God has become man in order that we should become gods'. Before we become gods we must become men in the image of the One who became what we are. The extent to which we are called to be identified with him who chose to be identified with us is greater than we think. It is because we have a very mean vision of our calling that we are not aiming at the full stature of Christ. Irenaeus of Lyons taught in the second century that, if it is true that we are the Body of Christ, that in him we are one, that our life is hid with Christ in God, then the final vocation of men is, together with Christ because of our oneness with him, to become the only-begotten son of God, an extension in time and in space and in eternity of this incredible, unfathomable relatedness and relationship with the Father. In that sense we can say soberly, yet with what exultation, that Christ is the very center of history as he is the beginning of all things ('by the Word were all things created') and the end of all things, because in him, by the power of the Holy Spirit, we shall in our total humanity have reached to the fullness of our human vocation and God shall be all in all. When we think of the life of Christ and of the death of Christ it is with anguish that we think of the extraordinary insensitiveness and indifference with which we partake in what we see in him. The act of perfect intercession, the act by which he took a step that brought him to the core of the human tragedy; the act by which he became that man of whom the Book of Job speaks in the ninth chapter, who could take his stand between God and one who was judged by God, in order to bring both together. The One who is an equal of both and therefore can bring them together in his own self, but also at his own cost, because every act of intercession is an act of sacrifice. I would like to illustrate this vision of a sacrifice and its consequences for us by something taken from the late history of the Russian Church. In the years of the Civil War when the opposing armies were contending for power, conquering and losing ground in the course of three years, a small town fell into the hands of the Red army which had been held by the remnants of the Imperial troops. A woman found herself there with her two small children, four and five years of age, in danger of death because her husband belonged to the opposite camp. She hid in an abandoned house hoping that the time would come when she would be able to escape. One evening a young woman of her own age, in the early twenties, knocked at the door and asked her whether she was so-and-so. When the mother said she was, the young woman warned her that she had been discovered and would be fetched that very night in order to be shot. The young woman added, 'You must escape at once'. The mother looked at the children and said, 'How could I?' The young neighbour, who thus far had been nothing but a physical neighbour, became at that moment the neighbour of the Gospel. She said, 'You can, because I will stay behind and call myself by your name when they come to fetch you'. 'But you will be shot,' said the mother. 'Yes, but I have no children'. And she stayed behind. We can imagine what happened then. We can see the night coming, wrapping in darkness, in gloom, in cold and damp, this cottage. We can see there a woman who was waiting for her death to come and we can remember the Garden of Gethsemane. We can imagine this woman asking that this cup should pass her by and being met like Christ by divine silence. We can imagine her turning in intention towards those who might have supported her, but who were out of reach. The disciples of Christ slept; and she could turn to no one without betraying. We can imagine that more than once she prayed that at least her sacrifice should not be in vain, and here we can see the image of another man who stood before death and hesitated. The greatest of those born to a woman, John the Baptist, who as death was coming to him, sent two of his disciples to Christ to ask him, 'Is it really you, or should we expect another one?' If it is really you then all the sacrifices of my youth, all the years in the wilderness; all the hatred I was surrounded by; the coming of death; my diminishing in order that you might grow, is a blessedness; but if it is not you then I have lost my life, I have lived and I shall die in vain. Here again the prophet received the reply of the prophet, but no word of consolation. This young woman probably asked herself more than once what would happen to the mother and the children when she was dead, and there was no reply except the word of Christ, 'No one has greater love than he who lays down his life for his friend'. Probably she thought more than once that in one minute she could be secure! It was enough to open the door and the moment she was in the street she no longer was that woman, she became herself again. It was enough to deny her false, her shared identity. We can see again one of the strongest men in history, Peter the apostle, challenged by a woman in the coldness of night and in his desperate loneliness denying in order to save his life. She died, shot. The mother and the children escaped, and here we see one more thing which will be the last I wish to mention. St Paul tells us, 'It is no longer I who live, it is Christ who lives in me'. We often wonder at the meaning of these words. How can Christ live in one? We can have an inkling of this meaning from the life of this mother and her children. They remained alive because another died. They have remained aware throughout their lives that they lived on borrowed life. Their life was cut off the earth by the hatred of men and it was given back by the love of this woman. If they were alive it was because she had lived; her life was theirs. They had to live and fulfil her life. They had to live as she had taught them. Is not this something which we can learn also? Is not this what we must learn from the act of perfect solidarity which we find in the Incarnation, from the insuperable courage and love of God, from the Garden of Gethsemane and the death upon the Cross? Solidarity not only between ourselves, but with every man, because God is solid with the godless as with the saint. The victory of life is in us not only because we receive the miraculous gift of life from God, but because if we live as he taught us he will be alive in us, and we shall be alive in him, now and for all eternity.